Imola, May 15th. As soon as the Portuguese Grand Prix was over, all the cars and material were loaded into the familiar articulated transporters and, ten days later, everything was unloaded in the paddock at the Autodromo Dino Ferrari at Imola, south-east of Bologna. Everything had been back to base, overhauled, rebuilt or replaced and was like new, and a number of teams actually had brand new cars on the strength. The car that Rosberg had crashed, which caused him injury to a hand and wrist, had been repaired and was relegated to the status of T-car, while a brand new one (FW10/03) was ready for Rosberg as his race-car. The RAM team had a brand new car (RAM 03/03) to bring its strength up to three, this new car being unchanged in specification and finished, like the others, in the very attractive green and white colour scheme of Skoal Bandit tobacco, its major sponsors. Team leader Winkelhock took over this car and his old one became the T-car. The Spirit team completed the updating of its second car (101D/3) now painted red and blue, and the crashed car from Portugal was on hand as an emergency spare. The Euro-Racing Alfa Romeo team was out in force, with three 185T cars, a new one for Cheever, plus the old 184T/1B as an extra spare car. Two of the cars were fitted with Bosch Motronic ignition and fuel injection, and two retained the old mechanical injection system. Osella had a new car on hand, the first of the FA1G models, even though it carried the number 02, but the old FA1/F was used for the race. Ferrari produced a new 156/85 for Alboreto. this being number 081, and Johansson took over 079, while 078 was still the T-car. Making its first appearance was a new Minardi car, with Carlo Chiti's new V6 turbocharged engine, the earlier Cosworth powered chassis, less engine, being on hand in case of emergency. The new Motori Moderni engine is a 90-degree V6 of 80 x 49.7 mm bore and stroke, giving 1,498.9 cc capacity and a very reasonable claim of 720 bhp at 32 psi boost is made. 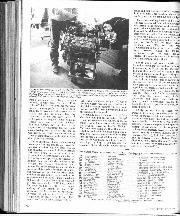 It uses a pair of KKK turbocharger units, one to each bank of cylinders, and is a neat and compact engine, but of "second generation" design with its very short stroke, whereas Porsche, Renault, Ferrari and Honda are already on "third generation" engines and ultra short strokes seem to be going out of favour in the search for better economy and wider torque spread. All the other teams had the same cars as in Portugal, rebuilt and in good fettle and ready to go. There was an ominous lack of sunshine over the Imola circuit and engineers' worries were not horsepower or turbo-pressure, but fuel economy, for they all knew that the regulation 220 litres of fuel was not going to see them through the 302.4 kilometres of the race if maximum power was made available. The trick was to balance fuel-flow and consumption to aerodynamic aids to down-force and cornering power. combined with tyre technology to provide the best lap times with the resulting horsepower coming out at some figure that was academic. If the engine could only use 10 lbs boost to give the required fuel consumption figure, then perhaps 450 bhp would be available, which would not give a very good lap time. On the other hand if the engine was efficient on fuel and could use 40 lbs boost and not exceed the consumption limit. then 800 bhp might be available. The morning test-sessions on Friday and Saturday saw the leading teams concentrating on fuel consumption, at the same time striving for the best lap times. 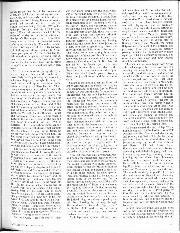 The requirements were in the region of not more than three-quarters of a gallon of fuel per lap, a figure in the region of 4 mpg and if your engine could produce 700 bhp at that consumption you would be looking in good shape, and it was down to aerodynamics and tyres to provide the good lap times; however, there was also the factor of the driver in the equation and it did not take long to show that Team Lotus had an ace in their pack in the shape of Ayrton Senna. The monitoring of fuel consumption was of prime importance in the morning, and the Williams team, for example, took two readings every time one of its cars went out. A recorder on the car monitored the fuel used from the moment the car left the pit lane until it returned, and a second one, operated by the driver pressing a switch as he started his first flying lap and switched it off as he crossed the line on his last flying lap, monitored the fuel used for the fast laps. On returning to the pits an instrument was plugged in to the recorder and a read-out was given of the fuel used for the two conditions, start-to-stop, and flying laps. Each team of engine engineers had its own methods for keeping tabs on fuel consumption and this was related to boost pressure, and ignition timing. The driver merely had to do the best he could with the horsepower available. In consequence the morning sessions were pretty serious and everyone was getting on with his work without too much outward exeitement, for naturally no-one was going to give away any details of what he was doing or the sort of results he was achieving. In the interests of economy engines were being run very much on the "lean" side and temperatures were high, in spite of the weather being grey and cool. 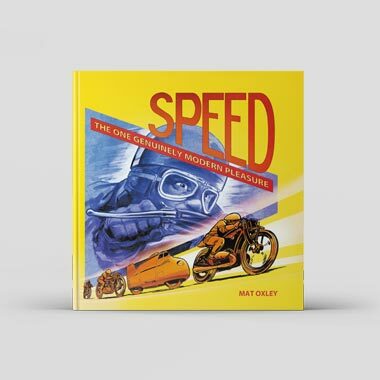 As cars returned to the pits there were some very pecualiar smells about the place as turbochargers overheated, fiberglass caught fire, oil was on the boil, carbon-fibre brake discs sizzled, tin foil insulating sheets turned brown and paint blistered. 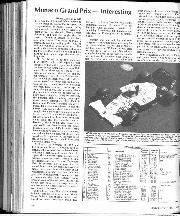 Naturally these intense measurements and calculatons could only take place if all else went according to plan, but then things never do, and Lauda's McLaren stopped on the grass opposite the pits with the right rear tyre flat. When the car was retrieved it was found that the flat tyre had been caused by something going wrong with one of the brake calipers and the rim had been gouged through, letting all the air out of the tubeless tyre. This caused the McLaren garage door to be shut while everyone went into a huddle over the offending part and Lauda continued testing with the spare car. Lotus had to spend some time altering the gear ratios on Senna's car and RAM was in dire trouble with its cars strewn all over the workshop floor, the new car having gearbox trouble and Alliot's car needing the installation of another Hart engine. The new Chiti engine was buzzing round merrily, sounding very purposeful and Pierluigi Martini, in spite of very little Formula One experience was keeping the car in the "top twenty". In the lunch interval the cars were prepared for the one hour of qualifying, fuel consumption and tyre wear being of no importance. One super fast lap was all that was needed, in order to stake a claim on grid position. With only 26 entries no-one was going to be left out, it was just a matter of who was going to be first on the grid and who was going to be last. The sun struggled through the clouds to watch the proceedings, but it was never very hot, and it was not long before Ayrton Senna made it clear that he was going to be on pole position. The Goodyear runners were finding that the super-sticky qualifying tyres were not getting up to their working temperature and a relatively hard race-tyre was giving the best results. This was no bad thing, for it meant that a driver could do four or five hard laps without suffering tyre deterioration, and could even go out again for another go on the same tyres, whereas normally qualifying tyres only allow for one really demon lap. Pole position wavered between Senna, Rosberg, Alboreto and Prost, with Lauda and Tambay not far away. At the bottom of the grid there was no dispute about last place; it went to Jonathan Palmer with the Zakspeed, not because he was going slowly, but because he wasn't going at all! Before he could get in a flying lap the throttle control broke and the car was stranded out on the circuit. Martini with the Minardi-Motori Moderni (how is that for a mouthful!) was shaming the back end of the field, for he was in a consistent 18th place and the engine was running very reliably. Up at the front it was sad to see Nelson Piquet unable to join in the fracas for pole position, the Pirelli tyres just not allowing him to match the pace of the Goodyear front-runners. 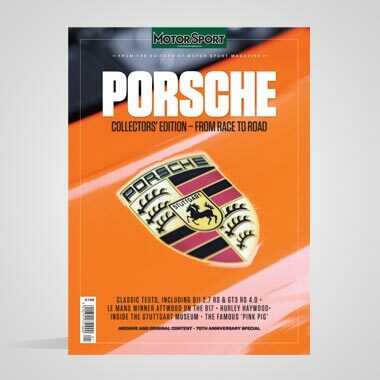 The Porsche engine people would not let the McLaren team run wild on boost pressure and fuel consumption, not that they wanted to anyway, their strategy being to contest the qualifying hour in as near race trim as possible, rather than using "sprint" tactics, though whether Lotus and Ferrari were actually doing that no-one would say. Whatever the conditions, the end result was that Senna was fastest, three-tenths of a second ahead of Alboreto, and these two were the only ones to get below 1 min 28 sec. Johansson was not having much joy, the undertray on his Ferrari coming adrift and dragging on the ground, so that he lost a lot of time having a new one fitted, and Tambay made a rare mistake by going too quickly too soon and spinning off into the sand on tyres that had not warmed up. A rather depressed Warwick was down in 14th place, unable to get things flowing to his satisfaction. Saturday was still grey and dull, but even so a huge crowd attended all eager to see Alboreto take pole position, but they were disappointed for it was Senna who continued to set the pace. During the morning test-session Hesnault crashed his Brabham mildly on his opening lap, when he was supposed to be making film with a camera attached to the crash bar. A much more serious accident was that of Brundle, whose Tyrrell 012 seemed to want to keep on going when he braked for the tight lefthander at the end of the fast section beyond the pits. A rear brake pad had fallen out and only the front brakes were operative. The Tyrrell sailed across the sandy run-off area and thumped the tyre wall. Brundle was lucky to escape unhurt and the Tyrrell withstood the impact extremely well and was repaired in time for the afternoon qualifying hour. 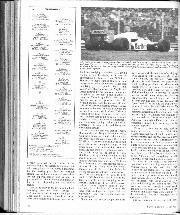 Testing was stopped for 25 minutes while things were tidied up, and at the same time Hesnault's Brabham was retrieved, as was Prost's McLaren which had stopped out on the circuit. Lauda actually recorded the best time in the morning but it was nearly two seconds off what was going to be considered a good time for the starting grid, but the morning sessions are not for all-out performance they are for experimentation and learning in preparation for the afternoon qualifying or for the race, depending on your team's tactics. Due to the delay in the morning the final qualifying hour ran from 1.25 pm to 2.25 pm instead of the regulation 1 pm to 2 pm, and by the time the track was open there were raindrops in the air. Senna sat in his Lotus studying a portable VDU giving the lap times of his rivals, but no one was approaching his time of 1 min 27.589 sec. However, to make sure of things he went out on race-quality Goodyears, rather than qualifying tyres, and put in a lap at 1 min 27.327 sec. His team-mate de Angelis was being inspired by his new companion, and turned in an excellent 1 min 27.852 sec, using the T-car in qualifying trim, as his race-car was all set up with a new 1985 Renault engine, ready for the race. Senna's pole position rocked slightly when Rosberg went out in the new Williams FW10 for the fearless Finn came within three-100ths of a second of his time. That two drivers with very different cars could be so close to one another is always a source of amazement, and they were lapping within sight of an average of 130 mph on the undulating and challenging circuit. A very worthy effort was that of Thierry Boutsen, the quiet Belgian driver who drives with such smoothness and without effort. He broke into the elite class with a 1 min 27.918 sec. Prost was late out, having to wait while his car had an engine change, so that when he did get a run conditions were not ideal, and rain spots were beginning to mark the circuit. Even so, he got in a 1 min 28.099 sec, nearly joining the elite, but he was down in sixth place overall. In the final minutes Rosberg went out in the Williams T-car in order to do some practice starts as he was still not happy with the Honda engine's take-off characteristics. Before he left the pit lane he told the Honda engineers that if he did three perfect starts, then all would be OK, but if he stalled it, like he had done in Estoril, then he was going to elect to start from the back of the grid! His nerves couldn't stand another muffed start, especially from the front of the grid. He came back smiling, the engine behaved impeccably, and the Honda engineers breathed again. While some sections of the pit lane were very happy with the outcome of qualifying, with Senna on pole position for the second time running, the spectators were very gloomy, for both Ferraris had been having small niggling problems and Alboreto was fourth overall by reason of his time the previous day, and Johansson was a lowly 15th through no fault of his own. The crowd seemed to drift about aimlessley, thinking the whole affair was a funny old do. Not at all what they had come to see. Down at the "poor" end of the pit lane the Minardi was in trouble with the ancillaries on its V6 engine, the Spirit was having a bout of obscure electrical trouble and the new Osella was not right, so Ghinzani was planning to race the old car. 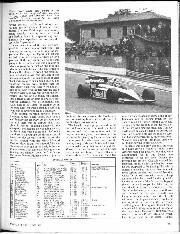 Hopes rose in the small Zakspeed team when Palmer put in a respectable 1 min 31.028 sec, to get the car into the "top 20". Those who were not on pole position found excuses to cover up deficiencies, others suggested that all would be well once the race started and the McLaren team gave the impression that their performance had been done in race trim. Senna made a simple quote to the world afterwards, when he said "Pole position isn't so important here at Imola than at some other tracks but it is the best place to be." Like Bruce McLaren used to say, "Winning isn't everything, but it's somewhat better than finishing second." It rained in the night. The warm-up period on Sunday morning was run on wet weather tyres, but the track dried out quickly on the racing line, so there was a certain amount of confusion on the part of those not in tbe know when they found Prost fastest, ahead of Piquet, de Cesaris and Johansson, with Senna down in 11th place and Rosberg just ahead of him. The track was not wet enough to need good draining by the tyres so the Pirellis on the Brabham and Ligier were good enough for the conditions, but the conditions were changing rapidly. 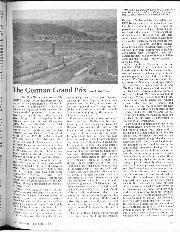 The race was due to start at 2.30 pm, which meant that the pit lane opened at 2 pm, by which time everything was completely dry and in superb condition, though the sun was not shining, but an enormous crowd had packed into the circuit„ the official estimate being 150,000. (Weep for unhappy Portugal with its 12,000 spectators.) Electrical misfires seemed to be the order of the day for the unfortunate ones, the Spirit's Hart engine losing its injection every now and then, the Zakspeed engine refusing to run cleanly, Warwick's Renault engine misfiring and all three teams were still fiddling with things right up to 2 pm. From pole position Ayrton Senna led the field round on the parade lap and as the 26 cars returned to the starting grid they became 25, for Palmer took the misfiring Zakspeed into the pits and was never seen again. Starts are always awe-inspiring when you are standing near them and the Imola one is particularly exciting for everyone knows it is a flat-out drag-race through the long left hand swerve and up to maximum speed before arriving at the Tosa hairpin. All 25 cars got away splendidly, led by Senna, with his team-mate slotting neatly in behind him. Just as in the wet in Portugal, Senna was now doing it in the dry at Imola. He took off and was gone, de Angelis doing a great job of hanging on in second place, and at the end of the opening lap Lotus were 1-2 in a fine exhibition, followed by Alboreto, Prost, Rosberg, Mansell, Lauda, Boutsen, Piquet and Johansson. There was a time when a Lotus in the lead was a flash-in-the-pan and you knew it wouldn't last, but 1985 is different. There is something about Senna's confidence and smooth driving that suggests that he intends to stay out in front, no matter who puts the pressure on him. He had some very good runners behind him, but they all stayed behind him, some being unable to keep up, others having mechanical troubles and some dropping by the wayside. 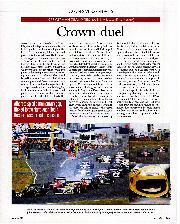 The race was being contested over 60 laps and Senna never looked like losing the lead. It was going to be a repeat of the recent Portuguese Grand Prix with Lotus number 12 leading from start to finish, only this time it was dry and conditions were excellent for racing. By 10 laps de Angelis had begun to fall back a bit and Alboreto and the rest were closing in on him. One lap later the Ferrari driver nipped by into second place (and the crowd woke up), and one more lap saw Prost by into third place. Piquet went into the pits for another set of Pirellis and de Cesaris went in with damage to his Ligier, having been off the road, due to brake trouble he claimed. By 15 laps Senna wasn't doing too badly for a "new boy" in his 17th Grand Prix, and only his third with a front running team. Behind him were Alboreto, Prost, de Angelis, Lauda and Rosberg, who between them can total something like 467 Grand Prix races and 48 victories. What you might call "-an experienced bunch". As if this wasn't sufficient interest, there was even more lower down the field, which was of particular note for 147,950 Ferrari enthusiasts around the circuit. Starting from 15th place on the grid Stefan Johansson was really beginning to get the hang of driving the Ferrari 156/85, and was carving his way through the field faster and faster. Behind the leading part of the field there was a nice little dice going on between Mansell (Williams), Cheever (Alfa Romeo) and Boutsen (Arrows), it sometimes looking quite close and rough, but it took Johansson a mere four laps to get through them and carry on with his flight towards the leaders. The crowd were now urging him, even though most of them probably did not really know who he was or exactly why he was in Arnoux's Ferrari number 28. But that did not matter, the Imola tifosi are only interested in one thing and that is the Ferrari car, it matters not who is driving it. When the blond Swede passed Rosberg there was joy all round and he was now sixth. On lap 23 there was a groan, for Prost had got by Alboreto and the Ferrari was popping and banging and on the next lap the Ferrari number 27 was into the pits for attention to the electrics. On this same lap Rosberg was also into the pits, to retire with trouble in the connection between the accelerator pedal and the engine, but no-one really cared. Piquet had rejoined the race on new tyres and though he was a long way back he was demonstrating that he had lost none of his skill, as he weaved his way through the back-markers to climb back into seventh place. Alboreto made a brief return on new tyres, to set up the fastest race lap, but the misfire returned and he went back into the pits and was not seen again, though he watched Johansson's progress on the closed-circuit television with great interest. Lauda had a neat and tidy spin at the entrance to the pits straight, when his McLaren jumped out of gear going into the corner, but he kept the engine running and carried on without losing much ground. Now that there was only air between Prost and Senna the Frenchman began to pile on the pressure and closed up on the Lotus, but the young Brazilian was quite unmoved. Even though he had the McLaren number one leaning on him and trying to sit it out with him under braking. he never gave an inch, and returned as good as he got. As he lapped some of the slower cars for the second time he made good use of the traffic and made sure he left Prost with nowhere to go. He used Ghinzani's Osella on one lap, Brundle's Tyrrell on the next and then he was up behind Tambay's works Renault, which he was about to lap for the first time. He judged things to a nicety, nipped by and left Prost looking for the way through. Having done that Senna then "gave it ten" as Graham Hill used to say in rowing parlance, and pulled out a gap that Prost was unable to make up. As 40 laps came up it was all over, Prost had made his attack, Senna had withstood it and stayed ahead with a full complement of marks, and bearing in mind the fuel consumption Prost eased down a bit and settled for second place. Lauda's gearbox was still playing up and he gradually dropped back from third place, letting de Angelis move ahead, and then Johansson went by the stricken McLaren. There was no need to ask who was Imola's hero today. When Senna lapped the dicing trio of Boutsen, Cheever and Mansell, the young Belgian made the most of the situation and got away from his playmates, actually passing Piquet as the Brabham driver eased right up to let his compatriot through, but once Senna was clear and away Piquet retook his sixth place. The final ten laps were begun with Senna still unchallenged, but Johansson was still pressing on magnificently, cheered and waved all round the circuit, and when he passed the McLaren of Prost on lap 53 the circuit erupted with a roar that Enzo Ferrari must have heard away in Maranello. Prost was naming strictly to order, his onboard fuel gauge telling him just how hard he could go and still be sure of finishing. 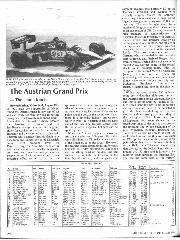 The Lotus and Ferrari drivers had no instrument problems, their engineers merely squeezed 220 litres of fuel into the tanks and told them to go racing, which is just what they were doing. At 56 laps it was nearly all over, Johansson was not going to make up the difference to the leading Lotus, and Senna was looking as smooth and comfortable as ever. It was going to be "new boys" first and second, both of whom had been brought on by the Toleman team. As Senna neared the end of lap 57 the Renault engine in the back of his Lotus 97T coughed and died. He swerved about to try and pick up any fuel still in the bottom of the tank, but as he slowed dramatically Johansson swept by into the lead with the red Ferrari. All hell broke loose. Everywhere you looked there were Italians screaming with delight, hugging each other in ecstatic joy, weeping, shouting, waving, jumping up and down. Even Johansson could hear it, cocooned inside his helmet. He actually led across the line at the end of lap 57 as Senna coasted to stop with a dry tank, and Prost went by into second place. The tumult suddenly stopped! There was the total silence of disbelief, that deafening silence we know so well when something awful has happened. Johansson had stopped on the far side of the circuit, having led the race for a bare half a lap. The Ferrari had run dry, and as fuel-miser Prost sailed by into the lead for the first time, he was accompanied by whistles and catcalls. A beautiful day had turned to misery and the Italian crowd were not slow in voicing their feelings. Almost unnoticed Piquet also came to rest with a dry tank, and though everyone was aware that Prost was leading with de Angelis second, both being on the same lap, the rest were a lap behind and nobody was really bothered in what order they were. Prost reeled off the last two laps, his McLaren-Porsche running perfectly, with its boost controlled to maximum fuel economy and he crossed the line the winner, but very conscious that he was very lucky. A philosophical de Angelis trailed home in second place and the rest followed. Boutsen's Arrows died on him as he approached the chequered flag, his BMW engine having used up all its fuel, and he was lucky to coast across the timing beam as Tambay came storming up behind, to miss third place by a whisker. One by one the cars finished their slowing down lap and turned into the parc-ferme for post-race scrutineering, but there was no sign of McLaren number 2. Tambay arrived with Prost sitting on the side-pod of his Renault, the McLaren had run out of fuel on its slowing down lap. Prost, de Angelis and Boutsen went up onto the podium to go through the victory formalities and meanwhile the scrutineers got on with their work, which is purely a formality, of course, but required by regulations neverless. They weighed the cars just as they arrived in the parc-/ferme, the Renault of Tambay weighing 580 kgs, the Lotus of de Angelis weighed 547 kgs, Brundle's Tyrrell 572 kgs, Lauda's McLaren 542 kgs . . . There was some sucking of the breath by the FISA scrutineers, for they had set the scales with a tolerance of 2 kgs, in favour of the competitors, in order to be lenient. This meant that Lauda's car was exactly 540 kgs, the official minimum weight. 500 kgs of certified weight was put on the scales and the digital read-out showed 502 kgs, so all was well and McLaren number one had got through by a hair's-breadth. There was nothing further to be done The scrutineers made out their report whict was passed to the Stewards of the meeting. 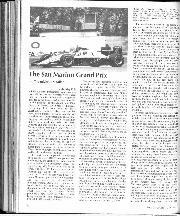 who had no alternative but to disqualify Prost and the McLaren MP4/213 and remove them from the results. 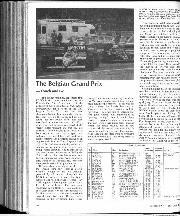 The race had finished at just after 4 pm and it was now 6 pm, by which time the world's Press had spread the word of Prost's win by radio, telex, telephone and TV, so there was pandemonium in the press room as stories were corrected. While the 150,000 spectators trouped off home, feeling cheated, the journalists were still working, and some were still at it at 10 pm. For 56 laps it had been a superb race, Senna had shown that Portugal was no lucky flash-in-the-pm, Prost and the McLaren had met their match and to cap it all the McLaren engineers had dropped a clanger. 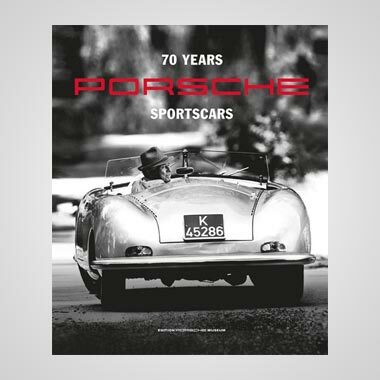 Sad, after the Porsche engineers had done their fuel consumption sums so accurately, but rules are rules, and if you are going to allow someone to run a car that is under the legal limit you might as well allow Renault to run 2-litre engines, ". . . only a little bit over the 1500 cc limit." After a stumbling start with the Ferrari team, Stefan Johansson had more than vindicated himself, much to everyone's joy, for the blond Swede is very popular with everyone inside Formula 1. Oh! By the way; Elio de Angelis was awarded the victory even though he had never led the race at all, and everyone else moved up one place, the fuel-dry runners being classified at the point at which they stopped, Johansson scraping into the points scoring top half-dozen, but Senna getting nothing for his masterly drive. In reality the first six were Ayrton Senna (Lotus), Stefan Johansson (Ferrari), Alain Prost (McLaren), Elio de Angelis (Lotus), Nelson Piquet (Brabham) and Thierry Boutsen (Arrows), but history books never deal in reality, they only record facts. — DSJ.